This is by far the most challenging boss fight yet. While the boss only has nine health bars, which is less than most, there is a lot of strategy involved. For one, this boss has high defense so normal attacks do less damage than usual. It also charges and breathes fire frequently, with the charges, in particular, doing a ton of damage. You want to wait for it to finish charging and then attack from the sides or behind to avoid getting hit more. Around the point that you take out its first health bar, black tentacles will appear. 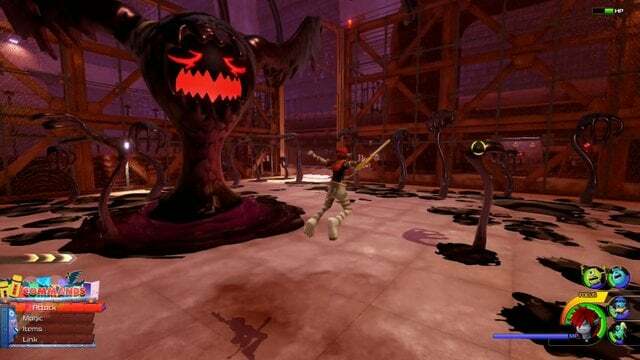 You are going to want to take out as many tentacles as you can before trying to attack the boss. It will then transform the room and itself. There will be lots of large black tentacles scattered around and the boss is invulnerable at this point. You will need to go around the room, taking out the black tentacles. After you take out a few, the boss will transform back into its previous form and the tentacles will disappear. 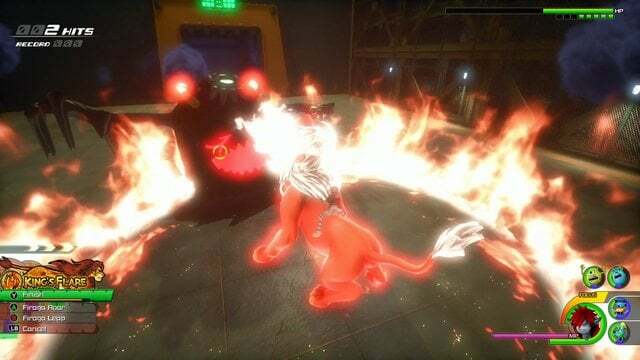 Continue attacking the boss while dodging its fire and charge attacks. We recommend using the new Link summon Simba as much as possible so save your MP for this. In addition, keep using the same form changes, attractions, and team moves as you’ve been doing. This fight is a repeat of the same mechanics: attack boss, tentacles appear, defeat tentacles, boss transforms, take out big tentacles, boss transforms back, and attack the boss again. Keep it up and make sure to use rage form if your health gets too low. 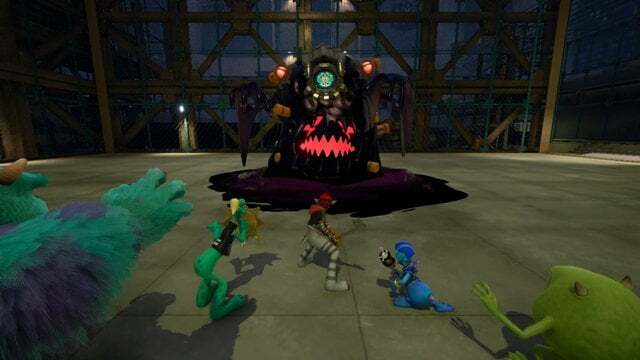 Finish this fight and you’ve completed Monstropolis. Sit back and enjoy the cutscenes.